NY: Berkley Caliber, 2009. Book. Very Good +. Cloth Strip & Boards. 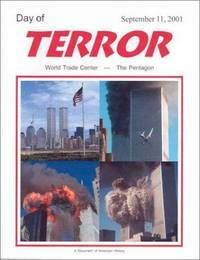 First Edition.. 239 pp., numerous b&w photos in text, plus more in a DVD on rear board. Close to new except for bumped corners. Text clean. Detailed account of how Edward Steichen organized a band of photographers for the US Navy and made 14,000 images of combat in the Pacific Theater. Size: 8vo -- 9.5 In Tall. NY: NAL Caliber (Penguin), 2007. Book. Very Good. Trade Paperback. 1st Paperback Edition.. 325 pp. Thumbed. Crease on lower corner. Binding firm. No markings. Includes 8 pp. of glossy b&w photos. 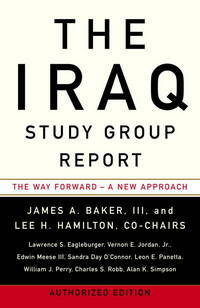 Hard-hitting, critical account of warfare in Iraq in the early years of the U.S. invasion and occupation. First account of the war by a U.S. soldier who served there. 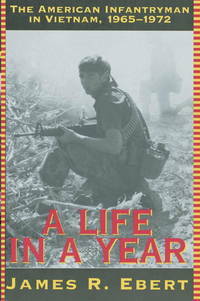 Author went on to organize and head the Iraq and Afghanistan Veterans Association. Size: 8vo -- 9 in Tall. NY: NAL Caliber (Penguin), 2007. Book. Fine. Trade Paperback. 1st Paperback Edition.. 254 pp. Close to new, no markings or creases. 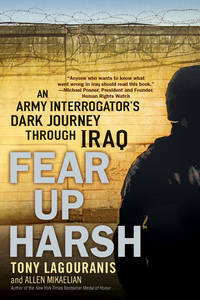 An Army interrogator tells of his first hand experiences with POWs in Abu Ghraib prison and other locations in Iraq. He discloses the military often disregarded Geneva Convention rules against torture. Size: 8vo -- 9 in By 9 in Square Format. New York: RDV Books/Akashic Books, 2003. Book. Very Good +. Trade Paperback. Signed by Editor. 1st Paperback Edition.. 246 pp. Flat-signed by author/editor David Potorti on half-title page. Previous owner's name also on half title page. Small corner crease, lightly read. Spine uncreased. Text clean. 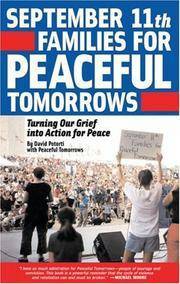 A group of 50 relatives of 9-11 victims in the U.S. lay out their peace proposals and opposition to wars in Afghanistan and Iraq. Size: 8vo -- 8.25 in High. NY: Riverhead (Penguin Group), 2014. Book. Near Fine. Trade Paperback. Uncorrected Proof.. 272 pp. Nearly new. Review copy. No markings. Covers have foldover flaps. A case study of efforts to track and recover 11 airmen who disappeared during WW 2 when their bomber flew over Pulau in the Pacific. They are among the 56,000 US troops still MIA. Size: 8vo -- 9 in Tall. NY: Alfred A. Knopf, 1988. Book. Good +. Cloth Tape & Boards. First Edition Stated.. 293 pp. Ex-library, with 1 front endpaper cut out, and one red "discard" stamping on preliminary page. Otherwise clean. Mylar protector. 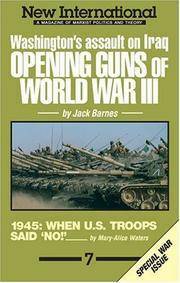 Historical novel about a German youth who trains with the SS and finds himself in the Battle of the Bulge. Young author toured WW 1 battlefields and lived in Germany before holding newspaper jobs in Providence RI and New Haven, Conn. Size: 8vo -- 8.5 In..
NY: Wing Books, 1996. Book. Near Fine. Cloth. 258 pp. Close to new, tiny black slash on top edge near spine. Text clean. 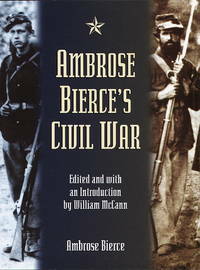 Collection of Bierce's essays and fictional pieces about the Civil War, primarily unsentimental impressions of various battles he experienced as a Union soldier from Indiana. Introduction by William McCann, editor. Size: 12mo -- 7.25 in Tall. Novato, Calif.: Presidio Press, 1995. Book. Very Good. Trade Papeback. 1st Paperback Edition.. 406 pp., 10 pp. b&w photos. Nearly new, lightly thumbed. Text clean. No spine creasing. Ebert relates the field experiences of more than 60 infantry soldiers in Vietnam. Beginning with induction and training, he moves on to deployment in the Vietnamese countryside and return to America. Size: 8vo -- 9 in Tall. Self-published, 2010. Book. Good. Trade Papeback. 188 pp., notes. Rippled because of dampness; satisfactory as reading copy. Binding firm. Stiff wraps, with color photo of Vanunu on cover. No publication data, apparently self-published. An American writer recounts her friendship with Vanunu, who served 18 years in an Israeli prison after taking photos of nuclear development work in an underground facility in the Negev desert. His revelations to British media helped document that Israel has a nuclear arsenal of 150 to 200 bombs, although Israel has neither confirmed or denied the report. Israel has required him to remain incommunicado since his release from prison, but he has violated his parole several times. Amnesty International has declared him a prisoner of conscience. As of 2015, he was seeking political asylum in Norway, where his wife teaches in a university. Size: 8vo -- 9 in Tall. Indianapolis: Bobbs Merrill, 1935. Book. Good +. Cloth. First Edition Stated.. 327 pp. Spine faded and stained with a streak of white paint. Water stains on front and rear covers. Artistic bookplate pasted on inside cover. Text clean, binding firm. Grandson of Italy's national hero recounts his adventures as a mercenary in the 1910 Mexican Revolution, the Boer War and other conflicts. Includes 19 glossy b&w photos. Size: 8v0 -- 9 in Tall By 10 in. Wide. By Ali, Rabia and Lifschultz, Lawrence, Eds. Stony Creek, Conn.: Pampleteer's Press, 1993. Book. Very Good +. Trade Paperback. 1st Paperback Edition.. 353 pp. Close to new, some acetate wrinkles near top edge of front cover. Spine uncreased, no markings. More than 30 essays on the ethnic violence that swept the Balkans after the 1991 breakup of Yugoslavia. Some deal with the hesitation of other nations to intervene. Size: 8vov -- 9.25 in Tall.